Statement: A 2.2-kiloohm resistor connects to 12 V source. 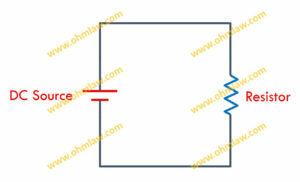 Using Ohm’s wheel find the current flowing through the circuit. In our present case, we are interested to find the current. The basic formula V = IR will be used.